I first read about The Special Projects Social on Twitter. One of my good sources of information and fellow #foodiemama, Colleen Pence, tweeted an article from The San Antonio Express News divulging the delicious tales of the pop up restaurant concept, and I was immediately intrigued. Created by Tim McDiarmid of Tim the Girl Catering and Peter Zubiate of Zubiate Projects, the concept is this: bringing society together through local food and local artists. That’s truly local. As is Pearl Farmer’s Market and San Antonio artists. The monthly gatherings never take place at the same venue; from a tortilla factory to a trendy boutique to an artist home, the congregation feasts on an amazing variety of dishes created by a transplanted Chef. For those who have not yet heard of Tim McDiarmind, believe me, you will. 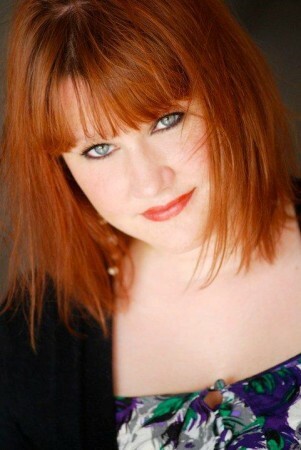 A native of Canada, Tim spent many years in New York fostering her culinary talents before landing here in San Antonio. I recently had the opportunity to attend a Special Projects Social, and want to share the incredible experience. Upon arrival, my date, Tara Burkholder of Mama2Aidan, and I were greeted with a beautiful Y vodka cocktail, mixed with roasted cumin, agave, soda, and fresh lime. 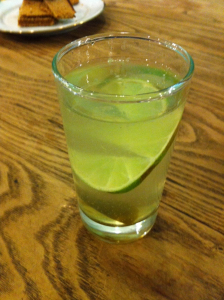 The kicker was the candied Serrano pepper that infused the liquid with spicy flair. As my favorite bartender Olaf would say, you could tell this drink was inspired by a Chef. In fact, it was hard not to ask for more than one. The setting for this past month’s social, Aquarius Boutique, was very well lit with bright blue paint; fashionably trendy clothing, jewelry, and shoes lined the walls extending to the storerooms. This month’s social not only included our fabulous meal, but a $50 gift certificate to spend in the boutique itself, so my eyes wandered over the items with procuring intent, focusing on flowy blouses and tunics. The tables were set with unique settings, and instantly stole my attention. 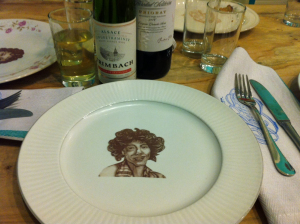 Local artist Katie Pell handmade each plate, with 1970s inspired chalk drawings assigned to each one. Okay, so not only am I sitting in a chic boutique surrounded by lovely people, but I also get to eat from a stylish plate? Lovely. The best part? I get to take it home. No joke. And the night hasn’t even started yet. First on the menu? 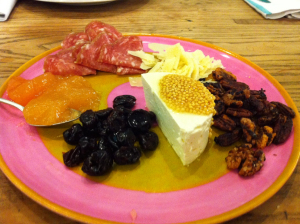 An appetizer plate, meant for grazing, and loaded with dried cherries, soft cheese with wild Guajillo honey, charcuterie, roasted pecans, manchego, citrus gelee, and a side of Farinata. Okay, I have to admit, I had to look this one up. Originally from Genoa, Farinata is basically unleavened bread made from chickpeas. And delicious. 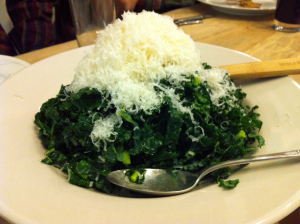 After finding a seat, slurping the last of my arrival cocktail, and mingling with San Antonio society for a few minutes, our first course arrived: Lacinato Kale with shaved Reggiano cheese. The greens were sliced thin, and possessed a hint of lemon. Served cold, this appetizer was crisp, dark, and tasted fresh from the earth. Gorgeous. Needless to say, Obviously, I was looking forward to the rest of our dining experience. Now I have to admit that beets have been all the rage lately. From Top Chef to the Food Network, to even our locals like Biga and Sandbar, beets are everywhere. However, I have not yet encountered the unique beet stained egg, which were tossed with root vegetables, raddiccio, baby greens, radishes, and herbs. If it couldn’t have sounded better, try this: warm bacon vinaigrette. 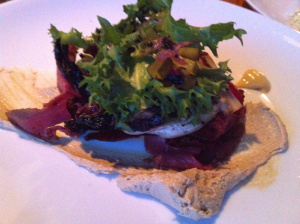 The bacon actually brought out the flavors of the salad, and provided a nice contrast to the flavors of the greens. For those who know me, may it be no surprise that I actually bought my own wine pairing. I will say that The Special Projects Social did provide adequate table wine; however, the 2006 Heredad Soliterra Priorat complemented the beets perfectly, and paired nicely with what was to come. Did I mention that I once had coffee with Chef Tim? It was really just an intrusion on her date with my friend Emily Stringer of DefiningDelicious, but I do remember quite clearly how she mentioned that she was formerly known for her vegetarian dishes. Well, based on the next compilation, I don’t doubt that. 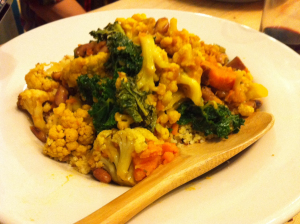 The winter vegetable stew over cous cous was loaded with sweet potato, cauliflower, beans, and greens. Even though I am a staunch meat eater, I heavily enjoyed this dish. So here we were, already full of local fresh vegetables sprinkled with cous cous, bacon vinaigrette, beets, cheese, and candied Serrano peppers. Could it get any better? Um… yes. The piece de resistance, the cream of the crop, the best plate of the night: stracotto over creamy polenta. What is stracotto? I know, I know, I also had to look this up. Basically, stracotto is an Italian pot roast. Depending on the origin, it could comprise of beef chuck roast, but honestly I don’t think it lasted long enough on my plate for me to tell. When asked, Chef Tim indicated that she was up all hours of the night preparing. 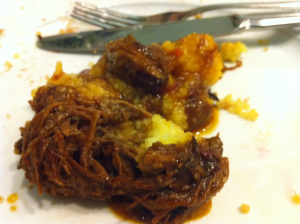 And you could tell: the meat literally melted in my mouth, and combined with the perfectly cooked polenta, was extraordinary. And such care was taken with the polenta. When eaten alone, the butter lingered in your mouth. After all this, we were served both a dessert cocktail and dessert. Can you imagine how full we were? 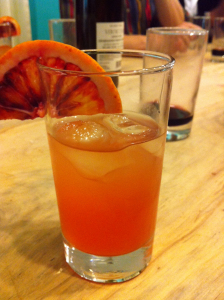 The cocktail: Y vodka, cardomon rose syrup, blood orange, and rose sugar. I will admit, not as memorable as the arrival cocktail, but I had other things on my mind: cake. 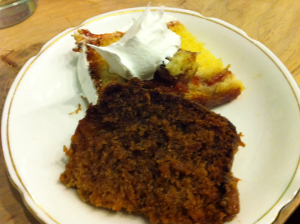 And there were two; a Banana Pineapple Cake with Dulce Leche Frosting and a Guava Cream Cake. Let me announce this: the banana pineapple cake was one of the best I’ve had. Paired beautifully with a 2001 Trimbach Gewurztraminer, the sweetness of the wine allowed the pineapple to shine through the airy frosting. It was the perfect ending. Everyone at our table was so impressed with Chef Tim and the Special Projects Social in general. I imagine we will be hearing a lot more about her in the near future. In fact, my date and I were lucky enough to sit next to Tracy Rios, food writer for Formo Magazine, which is printing a review of this very meal in their March issue. Let’s just say I know it won’t be the last. I am sure that we will see the likes of Chef Tim around for a long time to come. Texas is such a big state, it seems like we could travel for hours and only get about an inch on the map. Luckily, San Antonio is situated pretty nicely, only an hour from Austin, three from Houston, and two from Port Aransas. Let’s be honest, there’s not a whole lot desire for us to drive to Dallas. Last week, the sommelier and I both found ourselves with a whole day ahead of us, with no appointments, no meetings, and no work to be had. What else would we do but take the short drive north to visit friends, eat delicious food, and take in the street life? 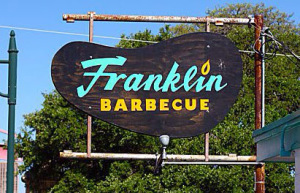 We left the house early in order to get in line at Franklin BBQ by 10am. We were lucky it was a weekday; if it had been Saturday, we would have been too late. If you haven’t yet heard, this increasingly known spot in East Austin is all the rave when it comes to slow smoked brisket. Featured in the likes of Bon Appétit, The New York Times, Austin Chronicle, and various food blogs, a foodie such as myself has already read the amazing meat smoking habits of Aaron Franklin, his 3am rituals, and the line that starts outside his restaurant door very early in the morning. The sommelier and I rushed around getting our things together for the day: stroller, extra baby clothes, baby food, bottles, the list goes on…. when did our lives become a vision of shelves at Babies R Us? We arrived promptly at 10 am, coffee in hand, to literally wait in line until the doors opened at 11. At about 10.45, a girl came out of the side door, pen in tow. She floated through the queue, taking orders from person to person; to ensure that the delicious BBQ we had been dreaming of since the night before would be plenty. 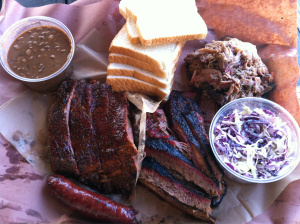 When she came our way, the sommelier promptly ordered a pound of brisket, pulled pork, ribs, and sausage. Are we feeding the neighborhood? Alas, I guess these 5.30 am exercise classes are worth their muster. An hour later, we were sitting at an outside picnic table, Hefewizen smoothly drifting down our throats. The smoke from the pits permeated in the air, the marbling of the brisket allowed the meat to easily tear apart, and the homemade sauce left a tanginess which left me wanting more. The rib meat fell off the bone, and the pulled pork melted in my mouth. The sausage had flavor, not surpassing some I’ve had, but definitely a spark of pepper here and there. Pinto beans and coleslaw as sides, our lunch could not have been more complete. It was definitely worth the wait, and worth the entire trip. And just to think, we had the rest our day to look forward to. Our next stop was South Congress, to cruise my favorite stores, like Goody Two Shoes and Tesoros Trading Company. Maybe it was the stroller, but it definitely seemed different cruising down this eclectic side of downtown. More restaurants…more stores… a cute vintage full service barber shop. 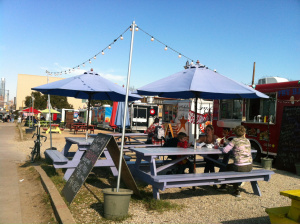 Nothing could be more complete than a food trailer park lining the street, complementing the style of South Austin. While we did not partake this trip, I know I will be taking advantage of this ideal location in due time. After some playtime with Rheagan at a local park, the sommelier and I headed up to North campus to completely involve ourselves in the nectar of the vine. Of all the places in Austin that the sommelier and I could have headed to at four in the afternoon for a glass of wine, Vino Vino was absolutely perfect. As soon as we walked in, I could tell this space was special. The entire left side of the wall was lined with wine, with a large variety of Old World styles, which always capture my heart. As we walked across the floor, the boards gave under my weight just slightly, noticed their beauty, and could instantly see the heritage in their placement. We later found out that the owner, Jeff Courington, bought them from an old dance hall from some small town deep in the Texas countryside, restored them, and placed them here in his wine lounge. He even recycled an original long bar. There’s nothing I love more than true Texas history. And here we were, surrounded by old world wines and Texas pine. The question became: what to drink? The sommelier took some time, but eventually decided on a Lambrusco, a different wine than I expected, although, since from Italy, not entirely surprising. 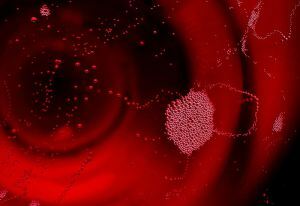 The Lambrusco grapes that are used to produce the wine originate from only five zones in Italy; the wine itself is frothy, fizzy, can be slightly fruity, and is meant to be drunk young. It’s actually a great alternative for a warm Texas afternoon Rose. I settled on a 2009 Kermit Lynch Cypress Cuvee, a blend of Grenache and Syrah, and could immediately taste the blackberry and fig. On the finish a tobacco made a slight entrance. It was a nice wine on its own, but would have definitely been enhanced by a variety of cheeses. Great note for next time, Vino Vino offers great food in the evenings, ranging from charcuterie to gnocchi, paella, and what else… an extensive cheese menu. 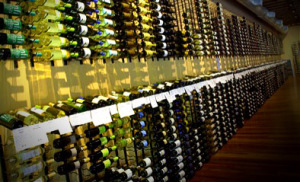 No wonder it has won the best wine offerings in Austin four years in a row, it’s a complete package. We will be back. Even though the little girl was becoming slightly cranky, with bouts of vocal demands ranging from food requests to coddling, we decided to venture out to one more stop. We were already in Austin, just minutes from various new hot restaurants. When you are travelling with a little one, though, you have to be prepared. We would dine early, get in before the dinner rush, and hopefully not create any kind of scene. And we knew just the place to try. 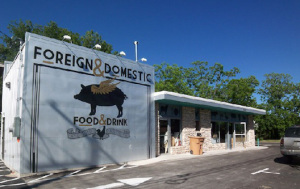 Only a few minutes away from North Campus, Foreign and Domestic sits in an old store front space on East 53rd. We first heard about the Chef Owner Ned Elliot in last May’s Eater Austin, a showcase of his triumph and tribulations in the past years, and a sort of congratulations to his one year restaurant anniversary. Needless to say, we were intrigued to try the showcased talent, also featured in the Austin Chronicle, Bon Appétit, Houston Chronicle, Dallas Morning News, and Texas Monthly. We arrived just in time for dinner, we were one of few tables, and were greeted by the offering of off the menu wines. I enjoyed the space: very clean, simple, and reminiscent of an essential Austin eatery. The appetizer menu sounded gorgeous: burrata, beef heart tartare, chanterelle mushroom soup… the sommelier chose the white anchovy tartine and I the soft egg and clams. The tartine layered pickled onion, carrot, and a creamy horseradish sauce. 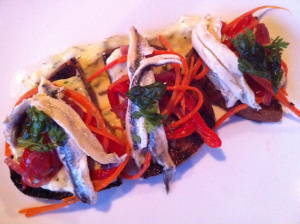 The crostini was crisp and held up to the anchovy nicely. On my side of the table, the soft egg was poached perfectly, and was surrounded by pork belly, apples, and clams. A play on ham and eggs, really. I was expecting more clams, but was not disappointed with the end result. In addition to the small appetizers, which, by the way, were in no way small, we ordered an off the menu special: beef tongue pastrami with chicken liver mousse and mustard. The presentation was beautiful, the shaved thin meat paired nicely with the mustard, and the chicken liver mousse was smooth and creamy. For dinner, the Pasta Puttanesca was spicy, and full of capers, olives, basil, and drenched in sauce, just the way I like it. Moreover, the Chanterelle and Sweetbread Omelet was presented wonderfully, with crispy sweetbreads lying atop the folded eggs. A surprise hint of apple flavored the dish from time to time. Everything was fabulous, as we expected it would be. If we lived in Austin, I surmise we would be eating here on a weekly basis. We called it a day after dinner, and headed back to San Antonio. Things have certainly changed for us in the past few years. Back then we would have stayed in Austin for the night, traveling to and from 4th Street lounges, meeting up with friends, and drinking scotch into the early morning hours. Now we find ourselves making our way back home so that we can put the little girl to sleep in her bed. We may even trip over some Little People on our way in the door. No worries, though, we saved room for a nice Cognac to jumpstart our foodie dreams. Cheers. 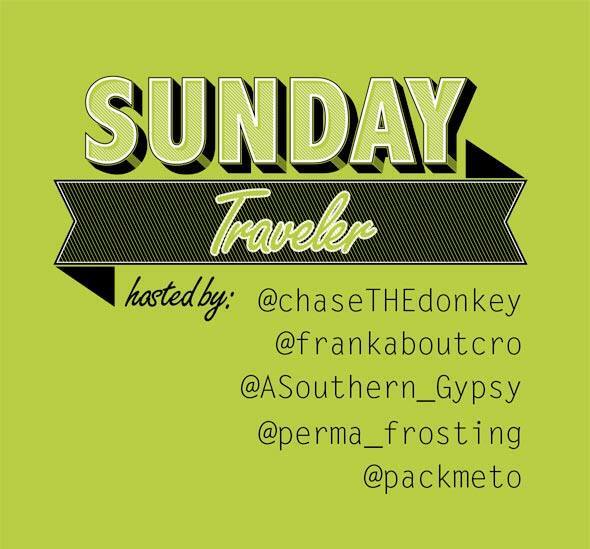 Linking up this week with Sunday Traveler, come check out other travel blogs.